GoPro's new camera looks a lot like Polaroid's, according to a lawsuit. Polaroid hit the wearable camera maker with a copyright infringement lawsuit that was filed Tuesday in New Jersey's U.S. District Court. C&A Marketing, the manufacturer and marketer behind Polaroid, accused GoPro (GPRO) of copying the model of its Polaroid Cube. 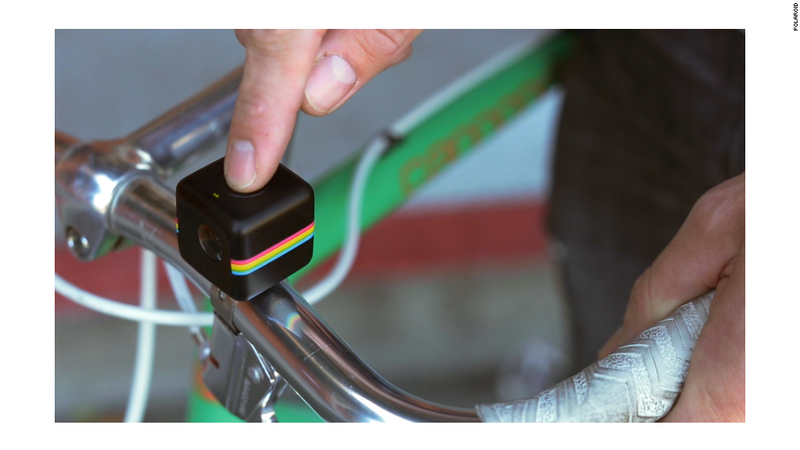 The Cube is a point-of-view action camera that retails for about $100. It was released in January 2014 by the New Jersey-based Polaroid. 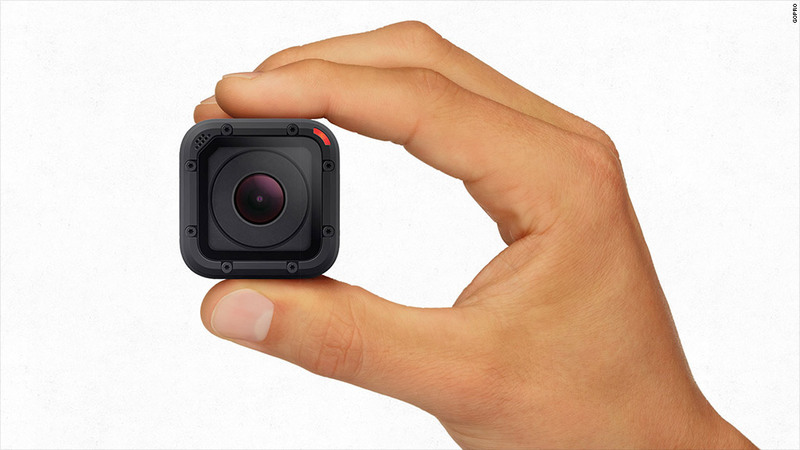 The Polaroid Cube, which was released 18 months before GoPro's Hero4 Sessions. C&A Marketing wants the court to award it all of GoPro's sales profits, along with interest and compensation for legal fees. Related: GoPro has crashed. Will drones rescue it? The GoPro Hero4 Session camera was released in July 2015 -- roughly 18 months after Polaroid released its cube-shaped camera. C&A Marketing pointed out in the lawsuit that the Hero4 Session differed greatly from GoPro's earlier models, which were not cube-shaped. "We invested considerable resources in the design and development of a unique product with the Polaroid Cube," C&A Marketing executive Chaim Pikarski said, explaining the suit. "The product's design is much of what makes it distinct. It has rounded edges, a slightly recessed lens and a single button on top -- all important design elements, all used as well by GoPro for its Hero4 Session." The suit comes after GoPro recently cut the price of its Hero4 Session camera from around $400 to roughly $300. And the company's shares dropped by 16% just last week, their lowest level since GoPro went public in June 2014. GoPro said in a statement that it had been developing the Hero4 Session "for years" and pointed to the dates it filed its patent for the design. "This patent was filed before a competitor announced its product at CES in January of 2014," GoPro said. "This shows that GoPro was working on Hero4 Session well before the competitor filed for its patent, which covers its own product - not GoPro's."